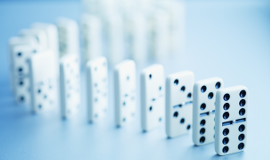 The Domino Effect Team Building activity is an activity that encourages collaboration between individuals and teams. Each member of the team will have a crucial role to play in this team project. In addition, this activity can be used to illustrate and address the different risks to take, the mistakes made, the stress associated with the different projects of the company. To each his mission to share a common vision! The activity is adapter according to the goals you have for your team.